The tomato grower had stopped production in August to make improvements under its new owner, Mastronardi Produce. 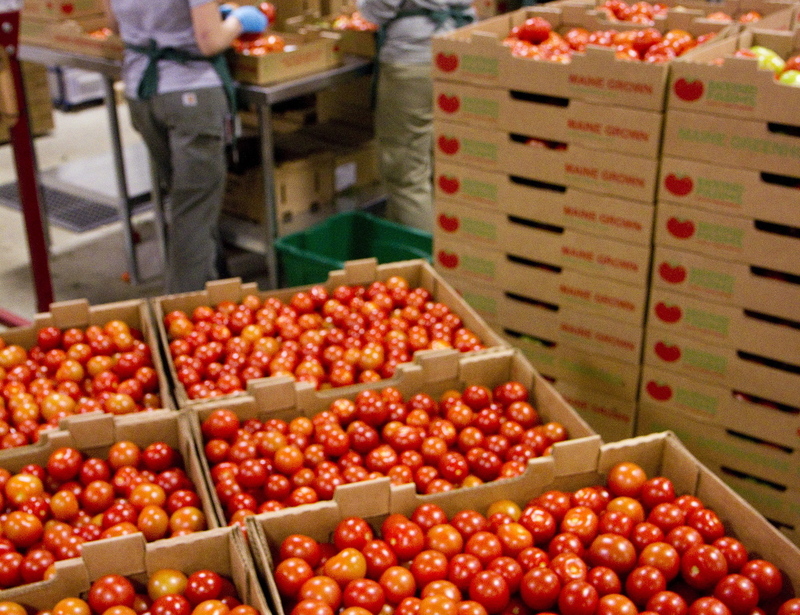 Backyard Farms temporarily cut off its fresh tomato supply to Maine grocers to accommodate a facility upgrade, officials say. A new crop of tomatoes – planted this month after the August upgrades were completed – will start heading out to retailers in October, said Daniela Ferra, a spokeswoman for Mastronardi Produce. The Ontario-based Mastronardi purchased Backyard Farms of Madison in June. At the time of the purchase, Mastronardi said it planned to keep the greenhouse operations running without interruption, but Ferra said the company shut down production while making improvements in August. She said she could not disclose the nature of the improvements because it was confidential. Backyard Farms is the largest commercial grower of year-round tomatoes in New England. It produces 25 million to 30 million pounds of non-GMO tomatoes annually from about 600,000 plants, and employs about 200 people. It has shut down production before, including twice in 2013. Over that summer, Backyard Farms destroyed its entire tomato crop because of a whitefly infestation, then in August destroyed 420,000 seedlings for not meeting quality standards. That prompted the company to furlough some employees, and stores went without the produce for months. Mastronardi Produce, which packs its specialty and commodity non-GMO greenhouse produce under the Sunset brand, said its acquisition of Backyard Farms will increase its internal greenhouse network to six locations across North America and will boost the company’s combined workforce to about 3,000 employees. Backyard Farms, a 42-acre farm, grows tomatoes year-round in two glass-enclosed greenhouses with ceilings almost 30 feet high. It grows plants hydroponically, in a nutrient solution rather than soil, in tiers.